Fatah al-Islam , the al Qaeda linked terrorist group named today Osama al-Shahabi as its leader to replace Abdel Rahman Awadh, according to al-Hayat newspaper. Awadh and his associate Abu Bakr Mubarak were killed on Saturday by the Lebanese army intelligence unit in the Bekaa town of Chtaura. Toufiq Tah was chosen as al-Shahabi’s assistant, according to Palestinian security sources. A man known as Khardaq was now the terrorist groups’ military and security official, the sources said. Brothers Haitham and Mohammed al-Shaabi were also part of the new leadership. They are the brothers of Abu Huraira’s wife. Abu Huraira was a Fatah al-Islam military commander during the Nahr al-Bared battle between the terrorist group and the Lebanese army. He was killed in the summer of 2007 when he refused to stop at a police checkpoint in Tripoli. Sources told al-Hayat that Awadh’s brother Mohammed Hassan, who is known as Sunbol and belongs to the Fatah movement, identified Abdel Rahman’s body. 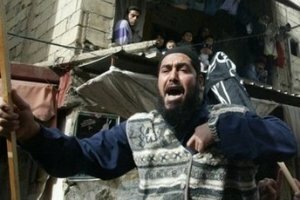 While the sources told the daily that the bodies of Awadh and Mubarak haven’t been handed over to their families, Future News reported that both families were informed that the militants would be buried outside Ain el-Hilweh refugee camp to avoid any security disturbance during their burial.